Adam graduated in Medical Sciences at the University of Exeter College of Medicine and Health, in 2014, where he found a particular interest in genetics and neurology. Adam spent a year as an associate genetic technician for the Royal Devon and Exeter Genetic NHS service as part of his degree. He undertook a PhD under the supervision of Dr Katie Lunnon and Professor Jonathan Mill. This refined the extent of various epigenetic changes in the ANK1 gene in Alzheimer’s disease, relating this information to both levels of gene expression and characteristic measures of disease stage. 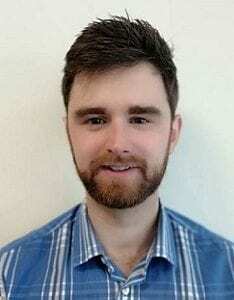 Adam completed his PhD in June 2017 and is currently a postdoc within the group looking at exploring the epigenetic similarities between Alzheimer’s and Parkinson’s disease.